Quickstep Holdings says it is on track to deliver the first shipset of carbon fibre composite parts for the F-35 Joint Strike Fighter vertical tails by the end of 2015. The Bankstown Airport-based manufacturer says it continues to make progress on the qualification process for production of the F-35 vertical tail components. “Under its agreement with Marand Precision Engineering, Quickstep will supply 700 sets of carbon fibre composite parts including skins, spars and fairings over a period of 14 years, with first deliveries expected to commence this year,” Quickstep said in its quarterly sales results published on Wednesday. Quickstep signed a long-term agreement with Marand for the supply of carbon fibre composite parts for the F-35 vertical tails in April 2014. The company has agreements with several original equipment manufacturers to supply F-35 parts for the next 20 years valued at about US$700 million. In the three months to June 30 2015, Quickstep completed 136 F-35 parts, bringing the total number of parts completed during 2014/15 to 466. This was up from 188 parts completed in 2013/14, the company said. “Discussions with original equipment manufacturers regarding increasing production volumes are continuing,” Quickstep said. 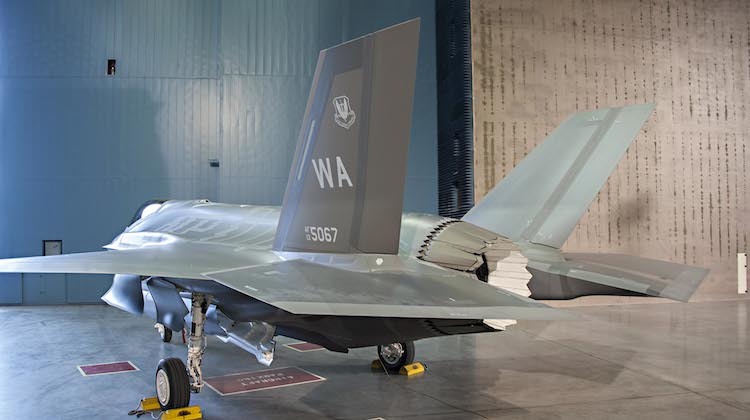 The first F-35 with Australian-made vertical tails was built in May. Meanwhile, Quickstep said it completed 11 shipsets for composite wing flaps for the C-130J in the quarter, for an annual total of 32 shipsets in 2014/15. The company is the sole global supplier of wing flaps for the C‐130J Super Hercules after signing a five-year memorandum of agreement in December 2013. “This exceeded the C‐130J wing flaps production rate of about three shipsets per month established earlier in the year,” Quickstep said. Quickstep said it booked a record $40.4 million in sales for the 12 months to June 30 2015, up from $12 million in the prior corresponding period. The company’s order book stood at $74.9 million at June 30, compared with $52 million at the end of March. “This reflects increased orders for Quickstep’s JSF and C‐130J aerospace contracts, and it is anticipated that the majority of this work will be completed during the next two years,” Quickstep said.